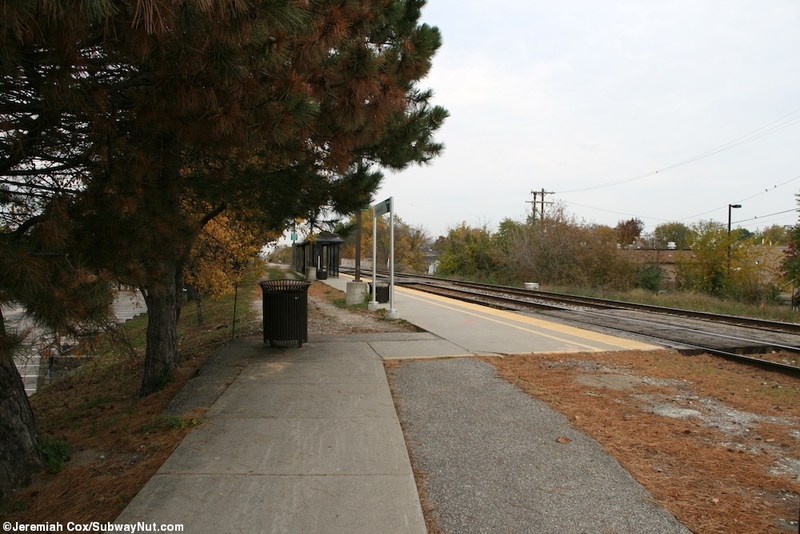 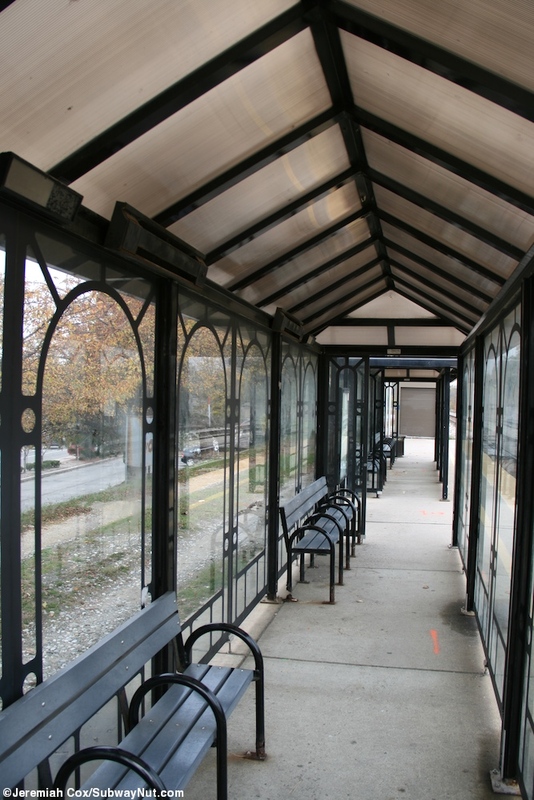 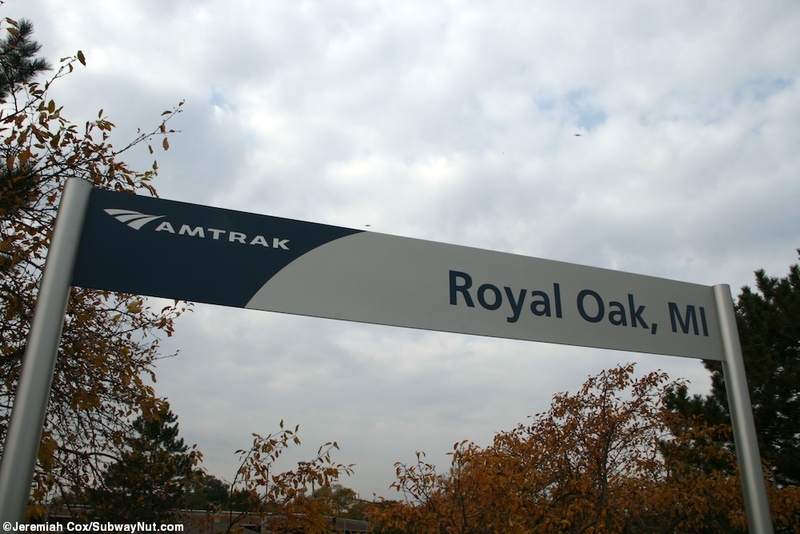 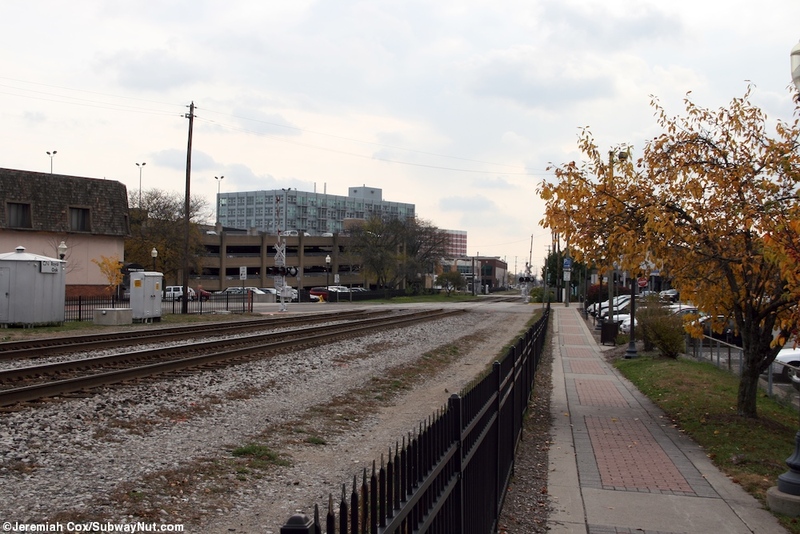 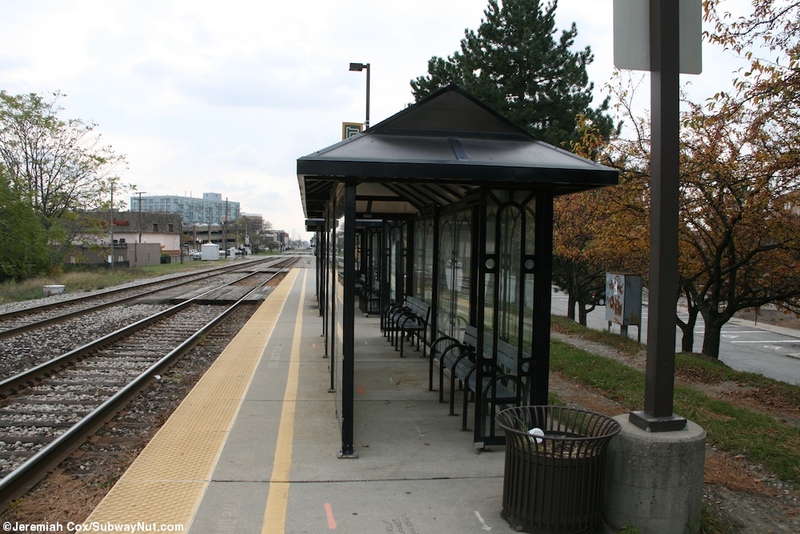 Royal Oak is the first stop on the Wolverines branch north out of Detroit becoming almost a commuter train with the frequency of stations, and is on the northern edge of downtown Royal Oak. 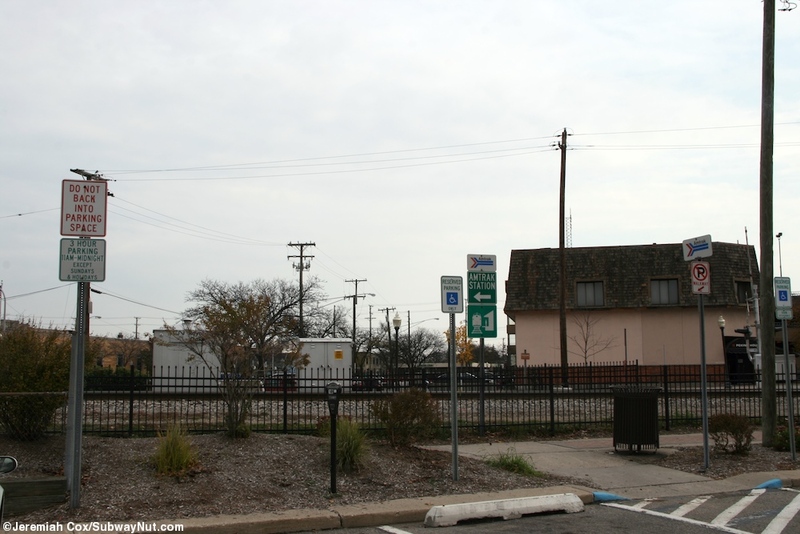 Amtrak first began stopping at the station in 1995. 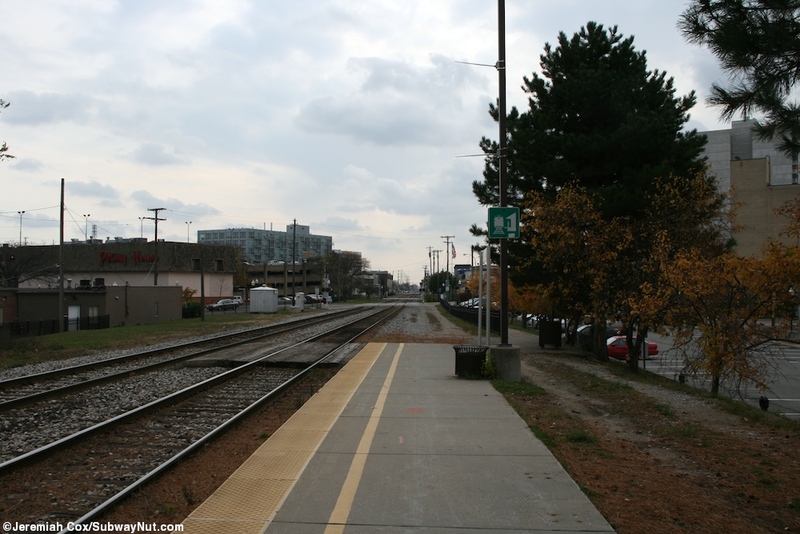 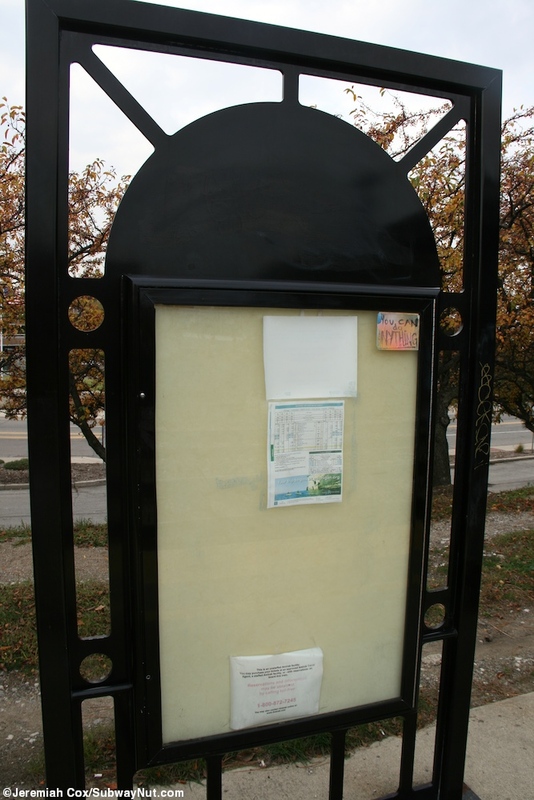 The station is located on an incline between the grade crossing of South Washington Avenue and the overpass over West 11 Mile Road, old enough that text for the Grand Trunk Railroad is still visible on it. 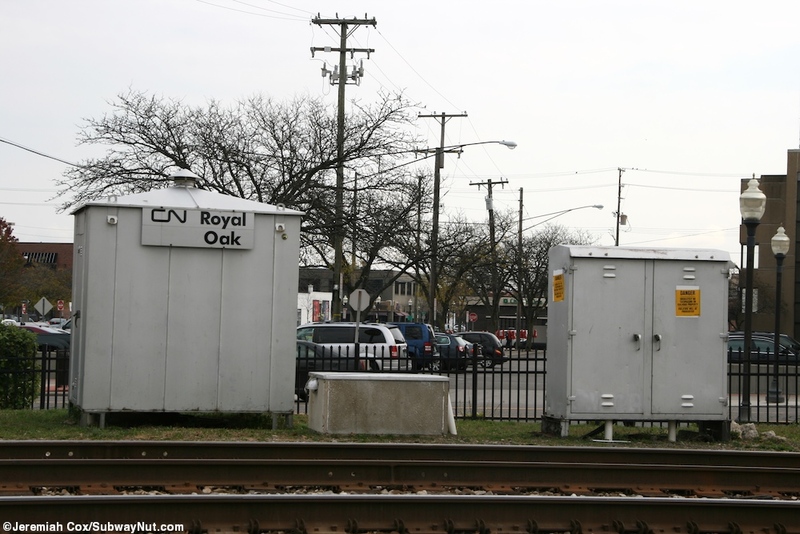 Technically the legal owner still today, a subsidiary of CN, but CN brands it now just as CN. 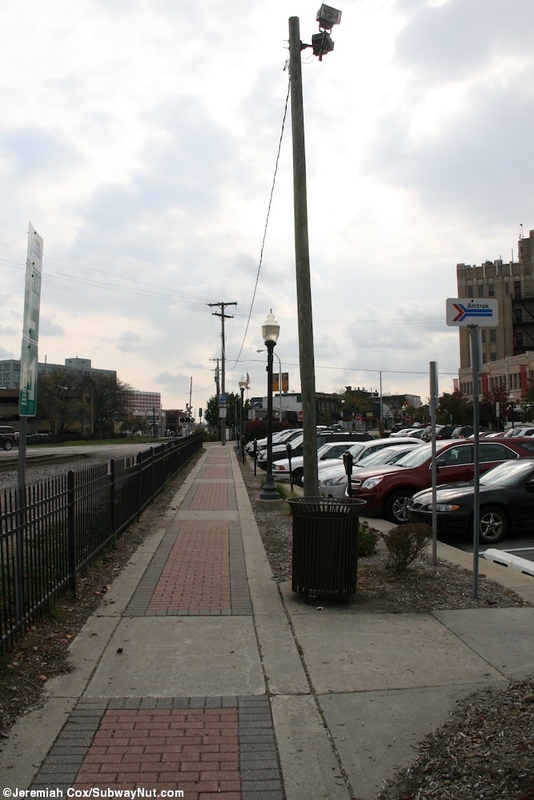 It is just above the Sherman Drive Parking Lot that has a 12 hour metered limit but also claims some long term. 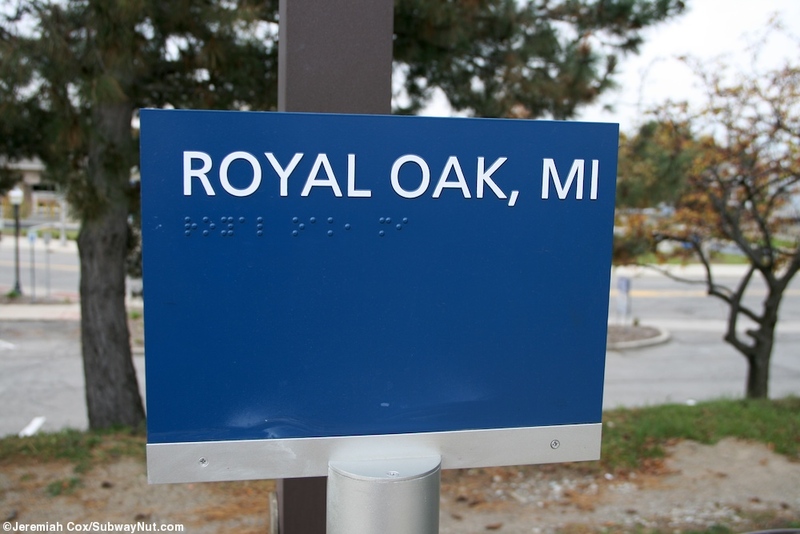 Just beyond this parking lot is the SMART Royal Oak Transit Center, an enclosed bus waiting area with customer service windows that looks straight out of the 1980s where the Amtrak Quick-Trak Kiosk is for the station. 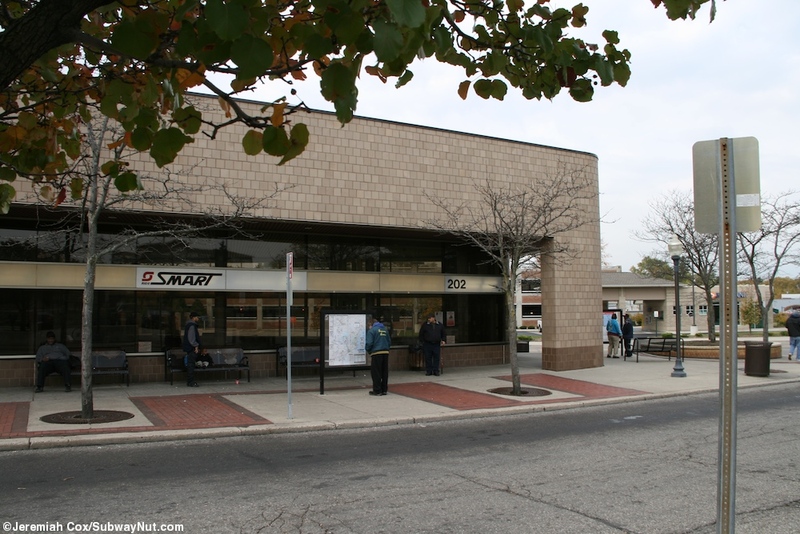 The machine is only accessible during the transit center's crazy (as of October 2011) hours of Monday, Wednesday, Thursday and Friday - 8:30am to 5:30pm, Tuesday - 8:30am to 4:30pm, Saturady - 9:00am to 12:00pm, Closed Sundays and Holidays and for lunch everyday from 1:30pm to 2:30pm. 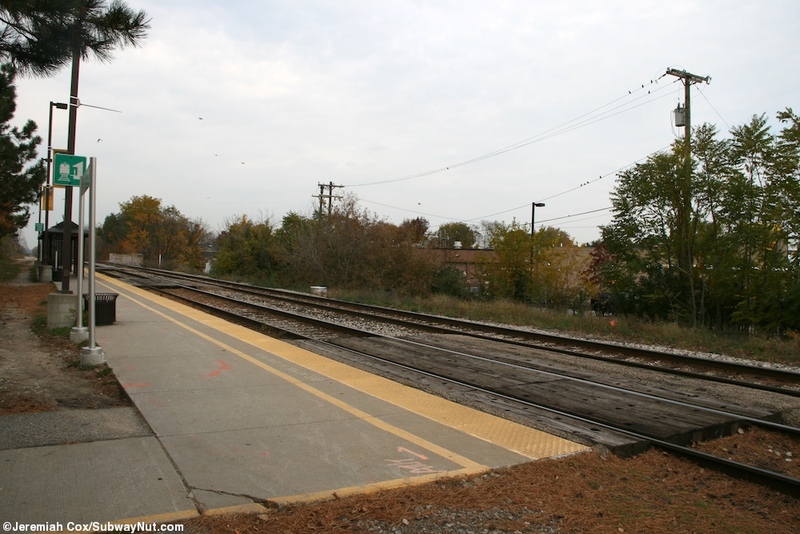 Access to the stations single side platform is from a path with a few Amtrak and railroad signs near the southern end of the parking lot and the grade crossing with South Washington Avenue. 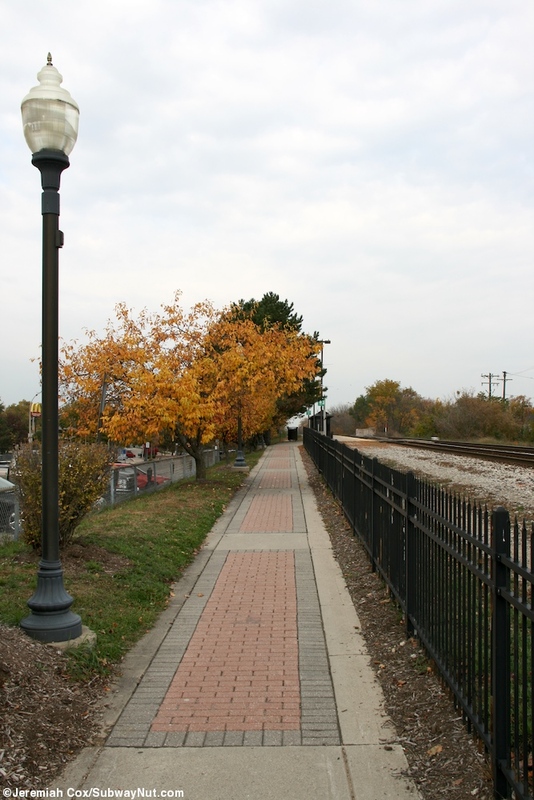 This path leads up along the railroad embankment fenced off from the tracks until the train rises up near the overpass over West 11 Mile Road where the platform finally begins. 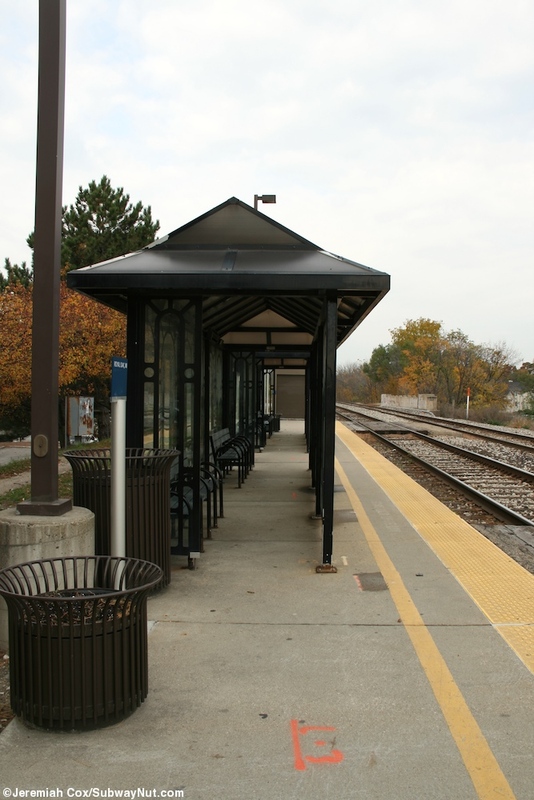 The side platform is narrow and made of concrete for the two-track line with wooden walkways allowing passengers to reach a train stopped on the opposite second track. 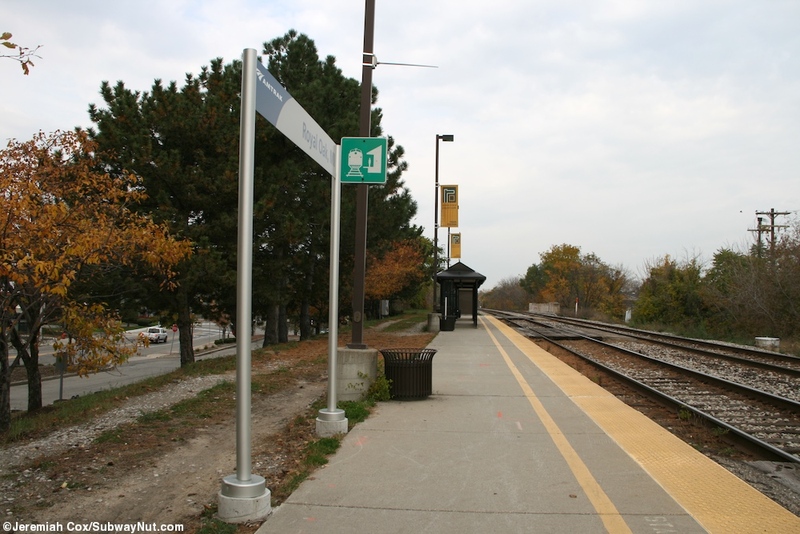 The platform was also recently given the ADA treatment of new signage, two modern metal ones, a tactile warning strip and a Wheelchair Lift enclosure at its northern end. 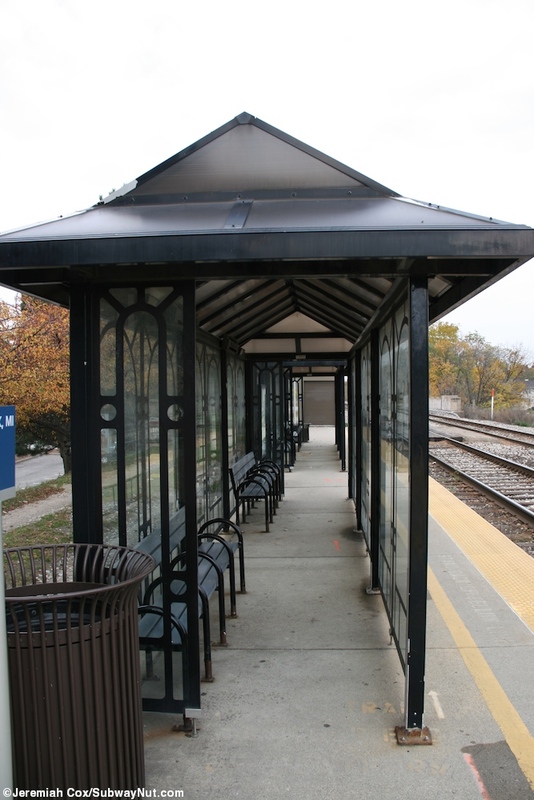 For shelter directly along the platform there are two narrow metal partially enclosed shelters, one after another each with two benches inside that take up the entire platform behind the tactile warning strip and even farther back yellow line to keep people away from wide freight trains. 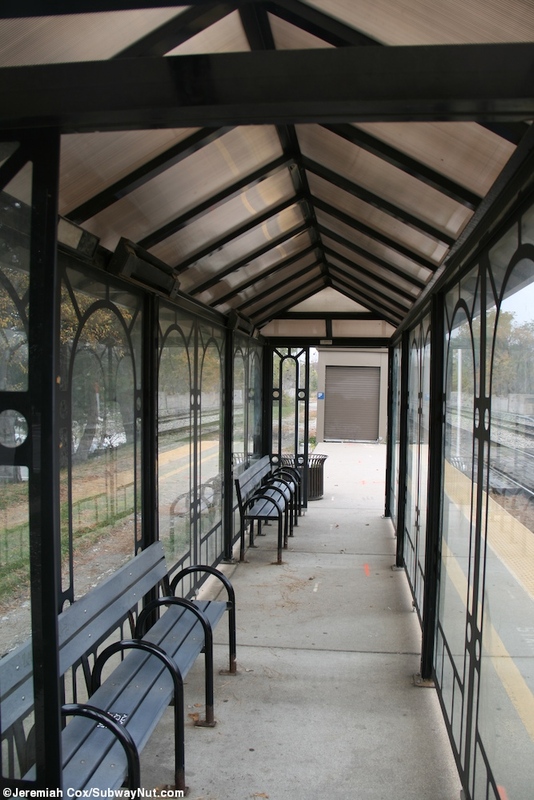 The shelters have slightly ornate metalwork and the main example is Royal Oak written in metal in old style calligraphy on top of each of them. 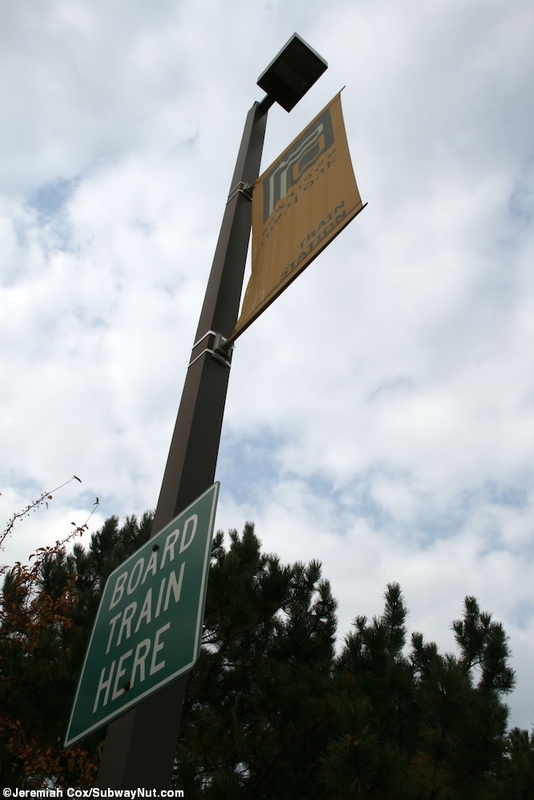 The text is facing the right direction to be read when stopped on a train. 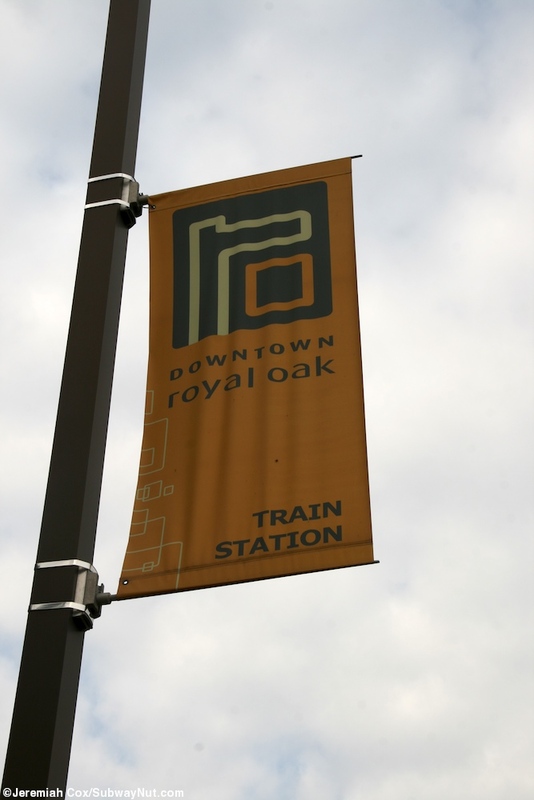 There are also tall lampposts that have lampposts banners for Downtown Royal Oak: Train Station.